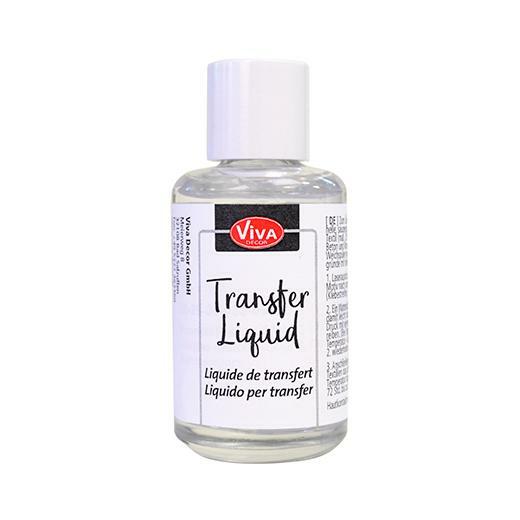 Viva Decor Transfer Liquid is for transferring laser copies to light coloured, absorbent, smooth surfaces, such as: wood, textiles (max. 20% synthetic), cardboard, paper, concrete, sponge rubber and much more. Pre-wash fabrics without fabric softener. Design consideration to note - the final transferred image will not be as vibrant as the original printed image. 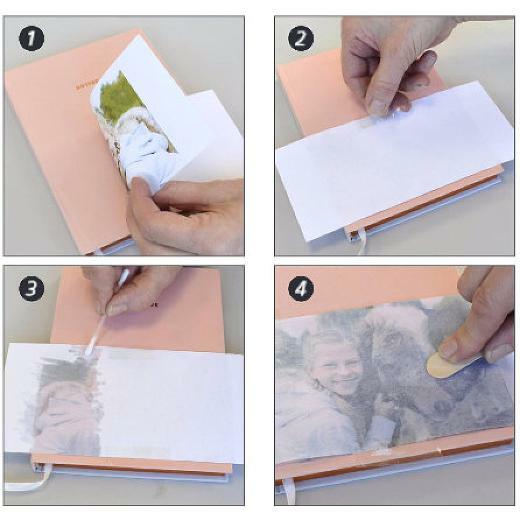 Mirror the image and print out on a laser printer or photocopier. Place the design face down onto your surface and tape in place. With a soaked cotton swab, moisten the paper slightly and rub the liquid in using a wooden spatula or lolly stick. For textiles, use a medium heat iron to iron the paper for approximately 15 seconds. Apply more Transfer Liquid and iron, as above, a further two - three times. Remove the paper. To set the design on textiles, iron the transferred design again with a medium heat iron. After 72 hours, textiles will be washable in temperatures up to 30°.